Set your Wrangler apart from the rest with Rugged Ridge's exclusive vinyl decals. 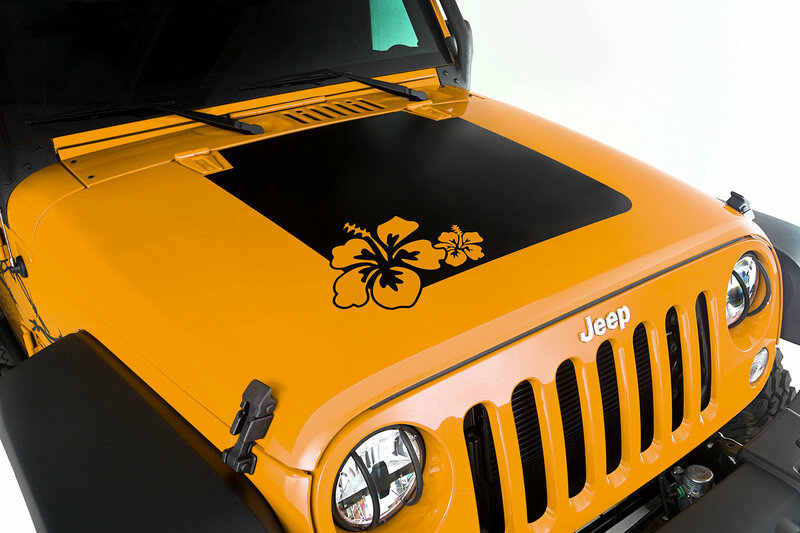 Offering the perfect look for the hood of your Jeep, these designs range from mild to wild and are an easy and inexpensive way to customize your ride. These graphics are made from 3-mil vinyl featuring a smooth matte black surface to produce vivid, life-like graphics. Each decal was designed to ensure a perfect, long-lasting fit on your Wrangler every time so it'll stand out whether you're cruising the boulevard or beasting the trails!